The next step towards a complete construction management tool is soon to be released. 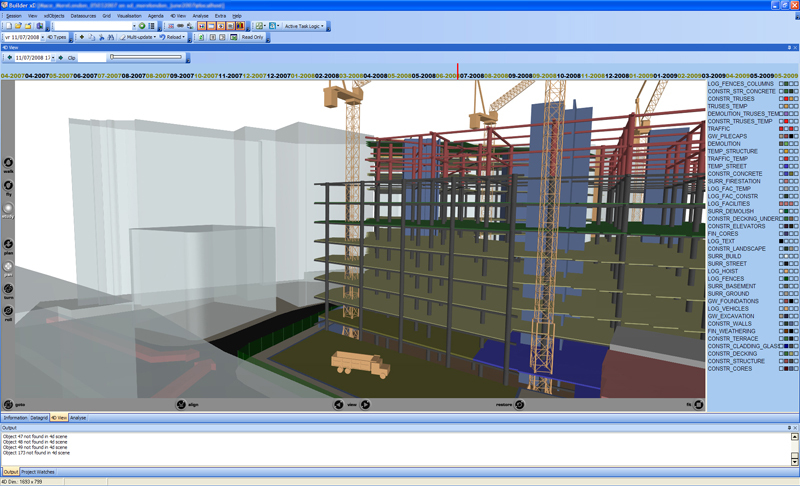 In xD Virtual Builder almost all project related information can be combined into one single program to analyse every single aspect of the construction project. Cost analyses during time, Room availability, Colormaps based upon time and other properties are a few of the new functionalities available to analyse and track the construction project. Automated plot generations, slideshow creation and colorbased hatchings, all dependent and influenced by project information are some of the new ways to visualize the project for all participants. Currently in a finishing stadium, the xD Builder will be released soon.